Premium Trout Fly Fishing and Trout Guiding from Nelson to Fiordland and every river, lake and stream in between in the South Island, New Zealand. Worlds very best sighted Fly Fishing for large Brown Trout and rainbow a speciality. 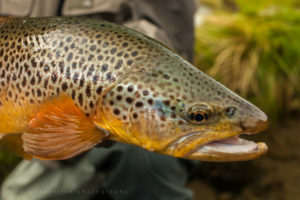 Trout Fly Fishing Guides for the South Island. While our guides are out exploring the rivers for you; it is my pleasure to assist you with your booking. Feel free to drop me a line…. nans@southernlatitudeguides.com. The sheer abundance of pristine rivers and waterways in New Zealand’s Southern Latitudes, provide literally hundreds of miles of plentiful fly fishing water. The quality of these waterways is amazing with no two rivers the same. You can choose from the Nelson/Marlborough region, boasting its range of ambling lowland rivers and pristine wilderness streams, to the often wild waters holding large brown and rainbow trout in remote Fiordland region, and everything in between… You will be spoilt for choice of the locations available with each guide. Fishing in Nelson or elsewhere? We offer guided Trout Fly Fishing Adventures in New Zealand’ South Island! 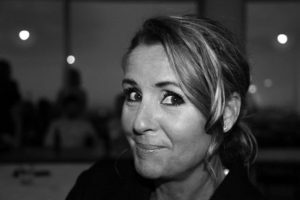 My name is Nans Kirkpatrick-Stolk, based in Nelson, wife of and Personal Assistant for Mike Kirkpatrick (guide & CEO) from the well-established Latitude Guiding. How I came to be your host: Mike was often booked when enquiries came in so we approached guides, mainly that Mike already knew, or whose reputation made them an obvious choice to help the client out. This set up a database of quality guides that are available for you today. My objective is to ‘seamlessly find the transition from your dream to reality’. All of the initial contact, correspondence, organizing, gear hire, logistics, accommodation and advice will be taken care of.